Review Context: I played Bastion by Supergiant Games and was blown away! I wanted to see Supergiant’s next project. When Supergiant Games announced their second title, Transistor, gamers were excited due to the success of their first game, Bastion. 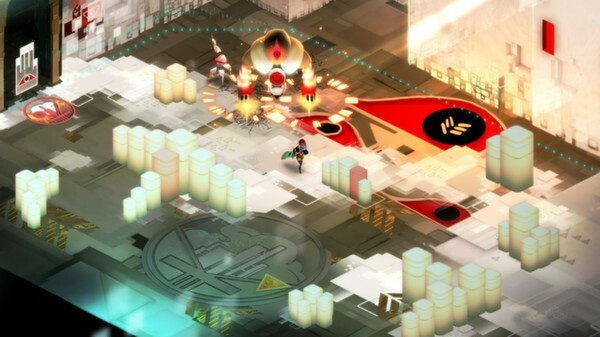 Bastion was widely praised by gamers, and the immediate question of whether Transistor would live up to the standards of Bastion became a huge topic of discussion. The initial trailer featured part of a song by Darren Korb with Ashley Barrett on vocals, who did the music for Bastion, and that alone caught a lot of interest due to the widely popular soundtrack of Bastion. Another factor that raised the expectations was the fact that Supergiant games made so much money off of Bastion (published by Warner Bros.) that they were able to publish Transistor on their own, thereby taking full control of their product. Did Transistor live up to the high expectations set by the success of Bastion? Transistor features the sci-fi world of Cloudbank, where decisions about what happens there like for example, the weather are made by the people. 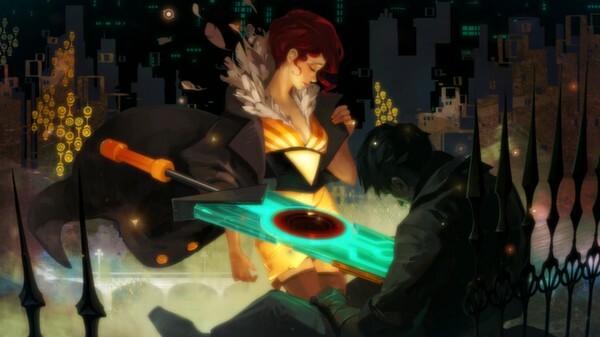 The game centers around a female singer named Red who loses her voice when she is attacked during a concert by a group called the Camerata, who end up sucking her voice into a sword-like device called the transistor. The game starts out with you controlling Red, and a dead guy is discovered. Who this person is, and how he got there gets answered in the story. Throughout the game players control Red, who fights against the Camerata, who send robot-like enemies called the Process to fight her. As Red, players attack enemies using the transistor. The interesting part of the combat system is that players can switch between real-time combat, and a turn-based system with just a click of a button. The turn-based system stops time and players can plan out their moves in a string of attacks using a grid system. Along the way players encounter dead people who end up leaving behind abilities called functions. The functions are used to create abilities in the transistor for combat. Each function can either serve as a primary ability, add-on, or passive. This gives players a wide variety of choices and play styles. Functions can also be acquired by leveling up, where players are given a choice to pick between a few functions. Certain functions work better in real-time combat as opposed to the turn-based system. The great part of this combat system is that players don’t have to commit themselves to one system, and can switch their play style as many times as they prefer. For my playthrough I used a wired Xbox 360 controller, which I found to be a fairly smooth experience. I was only frustrated a few times aiming with the grid system, but in general it was very easy to use the bumper buttons to trigger the turn-based system when I needed it. Gameplay using a controller versus keyboard/mouse seems to be entirely based on preference that a player can’t go wrong with. The user interface for the function system is not as compact as it could be, causing players to constantly fumble through menus to make function changes. Throughout the journey through Cloudbank players will get to make various choices that make no impact on the actual game, but can change the visuals. Players will also encounter an area where they can complete challenges and unlock music for the player. Once players find a play style that overpowers the enemies, the game will turn out to be a piece of cake, which may be a drawback to some players. Luckily, there is a way to increase the game difficulty using a feature that is very similar to the idol system in Bastion, which players can take advantage of to give more experience points per battle. After about three quarters through the game players will notice that there is not enough enemy variety, which is a bit disappointing. 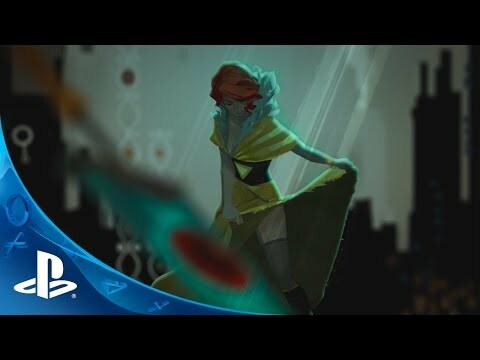 As mentioned earlier, the soundtrack by Darren Korb with vocals by Ashley Barrett help make the Transistor experience come to life by giving strong emotions to the game. The story does have a few moments that will tug on the players’ heart strings. Players will be left amazed by the great art style, which adds a lot of spice to the storytelling. How much time each player spends exploring the world of Cloudbank, as well as their interest in the story as the game goes along will impact their experience in the game overall. Since the three different types of each function uses (primary, add-on, passive) add new pieces of lore to the story, that could add time to the playthrough depending on the interest of the player. Players who zip through the game without reading anything may be left confused regarding certain elements of the story. Beating the game unlocks a “New Game Plus” mode called Recursion mode, which will allows players to go through the story again and pick up functions they chose not to pick up the first time, and they can acquire duplicates of functions, which adds a new variety of ability combinations. The battles in Recursion mode are procedurally generated, which gives players a different battle experience than the first time. In the end, it’s pretty much up to the player to make the most of their Transistor experience, which may not have the wide appeal like Bastion did.